As I mentioned in the previous post, today is my oldest daughter’s sixteenth birthday. On the day she was born in 1993, the TV news here in Japan showed two Japanese twins who had become famous a year earlier because the both turned 100 years old. The day my first baby was born these twins turned 101. Their names were 「成田きん」 (Kin Narita) and 「蟹江ぎん」 (Gin Kanie). After they became famous all over Japan, they often did TV commercials in the early – mid ’90s. As a term of affection, they were called 「キンさん、ギンさん」 (“Kin-san, Gin-san“). 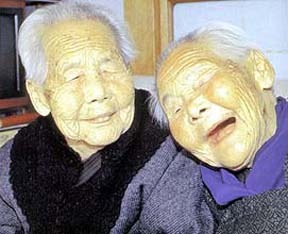 「キンさん、ギンさん」 (“Kin-san, Gin-san“) were born on 1892 August 1 and lived to be 107 and 108 years old, respectively. I knew since the day my oldest daughter was born that 「キンさん、ギンさん」 (“Kin-san, Gin-san“) shared a birthday with her. 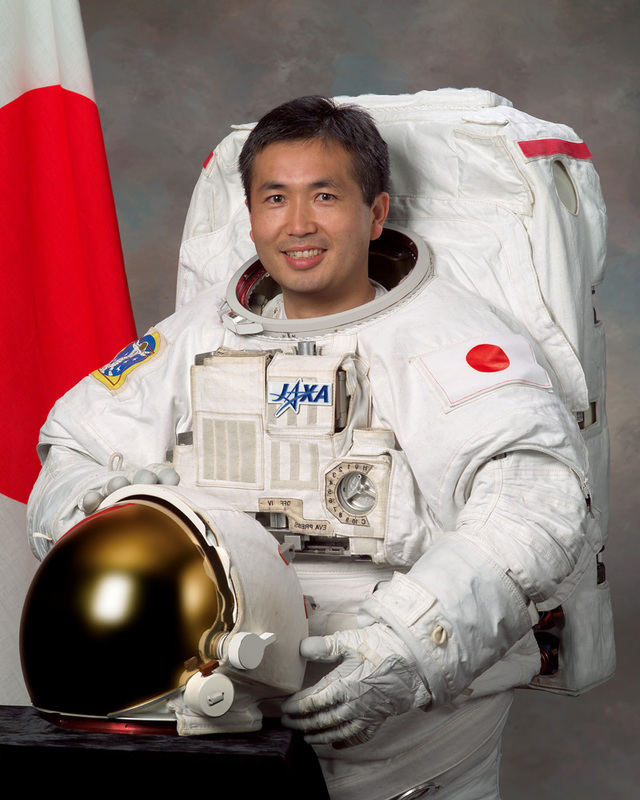 But I found out today that the Japanese astronaut, 若田光一 (Koichi Wakata), who just came back to Earth from a mission with the Space Shuttle Endeavour also has the same birthday as my daughter. He was born on 1963 August 1. So he returned from his mission in space just in time to celebrate his birthday on Earth. The first thing he did was eat 寿司 (sushi). 今日は長女の誕生日 (Today is my oldest daughter’s birthday). She’s sixteen now. The years have gone by so fast! I remember her first day of 保育園 (nursery school)…and now she’ll be finished with high school in just a couple years! There are many 花火大会 (fireworks festivals) today. All three of my daughters are going to watch fireworks with their friends rather than with their parents like they used to not so long ago. I reminded her of that story today. She didn’t remember it…but it’s one of the many memories of my children that my wife and I will always cherish!